Do not use marinated artichokes for this soup. This is basically a catfish stew or soup. The first time I was served cucumber soup, I thought it was so refreshing and perfect for a hot afternoon. You do not need a expensive cut of pork chops for this particular dish. Probably any pieces of pork that you can get you can use in lieu of the pork chops. 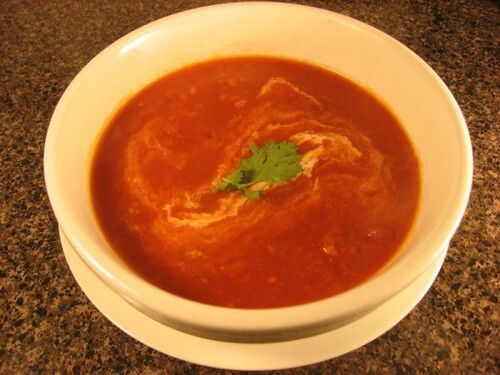 I would use the cup of plain yogurt in the tomato soup, but to serve it I would garnish it with a dollop of sour cream. Take advantage of the summer time when fresh corn is available. You can use either the fresh yellow corn or the fresh white corn. Every body loves tasty soup this particular soup can be made with canned corn and salad shrimp. Make large quantities and freeze individual servings for later meals. Excellent, excellent recipe. Make plenty because that will be none left over. This is the sort of recipe that takes a lot of time but is very rewarding upon completion. I visited a local farmer's market and purchased three large Walla Walla onions and made this soup. It was to die for. During harvest season take advantage of this recipe using fresh corn that you can purchase from your farmers market or your regular grocery store. I would use four large russet potatoes for this soup. 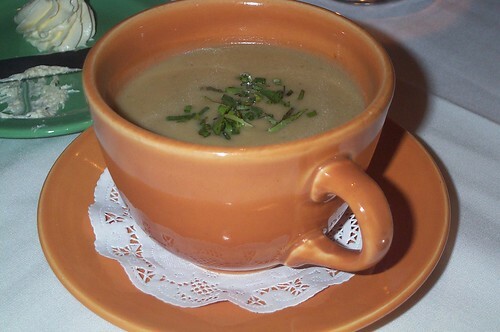 And I would add the cream to the soup itself before pouring it into the soup bowl. I will definitely try this recipe when I have the two days to devote to it.